Our children’s centre is a hub for family support in the Guildford area. We work as an extension of the local healthcare, midwifery and social services teams to provide dedicated home and centre-based support wherever it is needed. Families are referred to us at various times, when other professionals think we can make a positive, supportive difference. We develop really close relationships with all our referred families and our aim is to create the best environment for those families so that they can continue to grow and develop independently with long-term benefits. 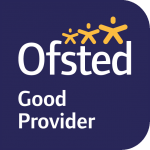 If you are a potential referrer and would like to know more about our services and skills, or you have a family to refer to us for support, call us on 01483 566589 or email cc@guildfordnscc.surrey.sch.uk. We know that you want to give your child the best start to life and that you want to learn how you can support and help them along the way. That’s what our children’s centre is all about – you and your family. The children’s centre is also a community resource. From baby and child health clinics to diddi dance classes; baby massage to parenting courses, we offer an exciting timetable of community groups and classes to help you meet new friends, learn new skills and socialise with other parents. Our sessions are usually free and you can see our current calendar here.